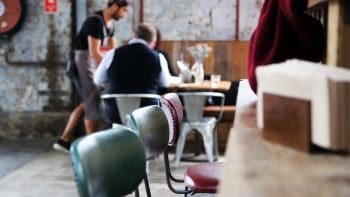 If you’re a bar manager or owner, or you’re thinking of starting your own bar, you should be putting some thought into your bar décor; it can help determine if it stands out from the crowd and becomes the talk of the town. If you’ve ever been in a natural history museum and really fancied a cold bevvie, you’ll love the H.R. 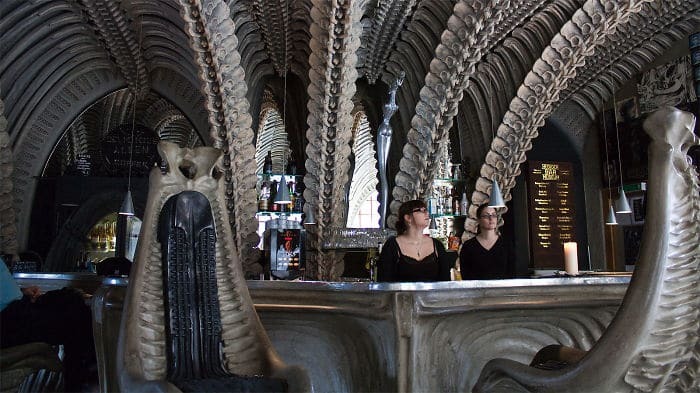 Giger Museum Bar in Gruyères, Switzerland. The structure, double arches of vertebrae, is modelled on Jonah & the Whale and makes for a unique, unforgettably eerie drink. Picture: Bored Panda. 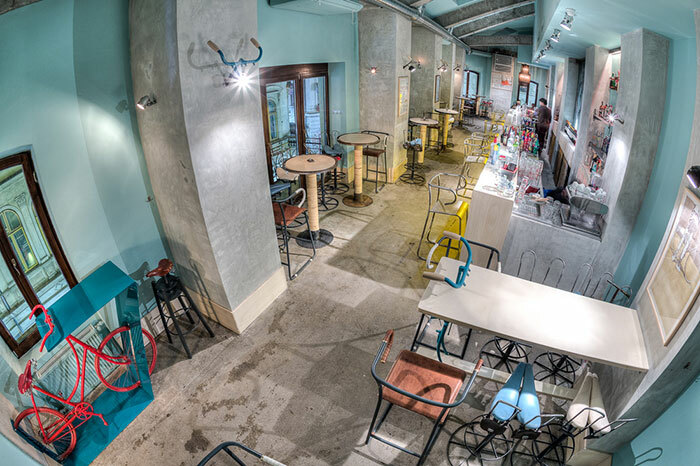 If you love bikes, you’ll love the Bicicleta Bar in Bucharest, Romania. This entire concept bar is fitted with bike parts: the artwork, the light fittings, the bike seat stools. This, along with the turquoise walls and concrete floors, create a playful, trendy feel. Picture: Bored Panda. Trust the Japanese to go and cover an entire bar head to toe with electrical wire. Yep, it sounds like something from a 90s stoner film but it works, creating a bar that feels alive, fun, surreal and a little bit hairy. Picture: Dezeen. 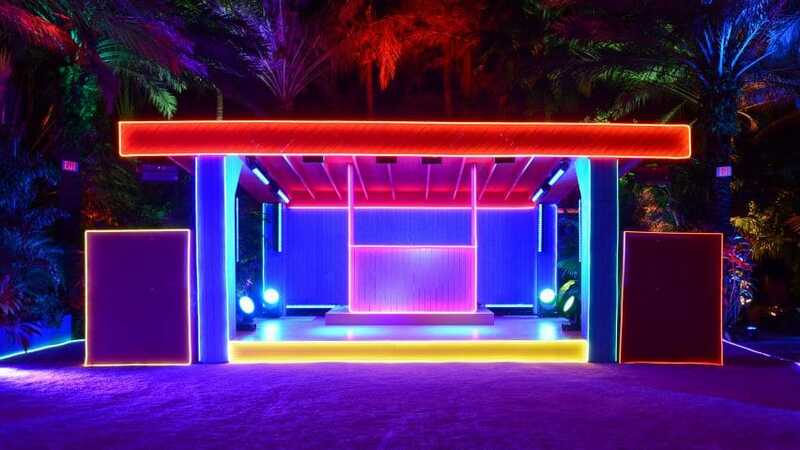 Carsten Holler designed this pop-up club in Miami in conjunction with Prada. His use of neon lighting and retro lines gives the exterior an exclusive yet welcoming air. Picture: Dezeen. 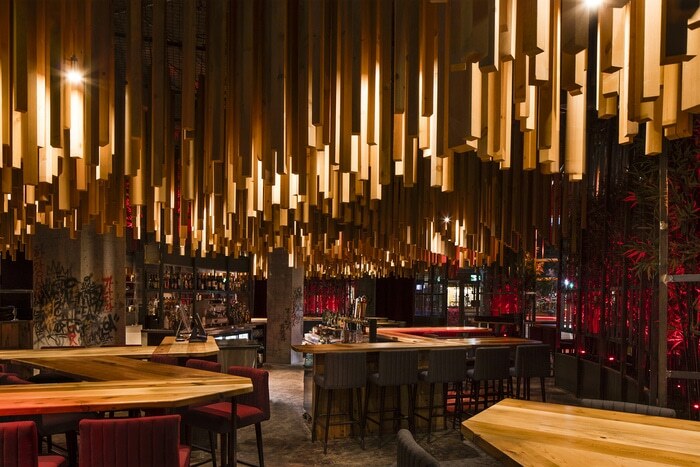 Bar Ganadara in Canada cleverly elongates the space with its wood-panelled roof and zigzagging tables, which combine well with the graffiti pillars for a wonderfully intimate and cosy layout. 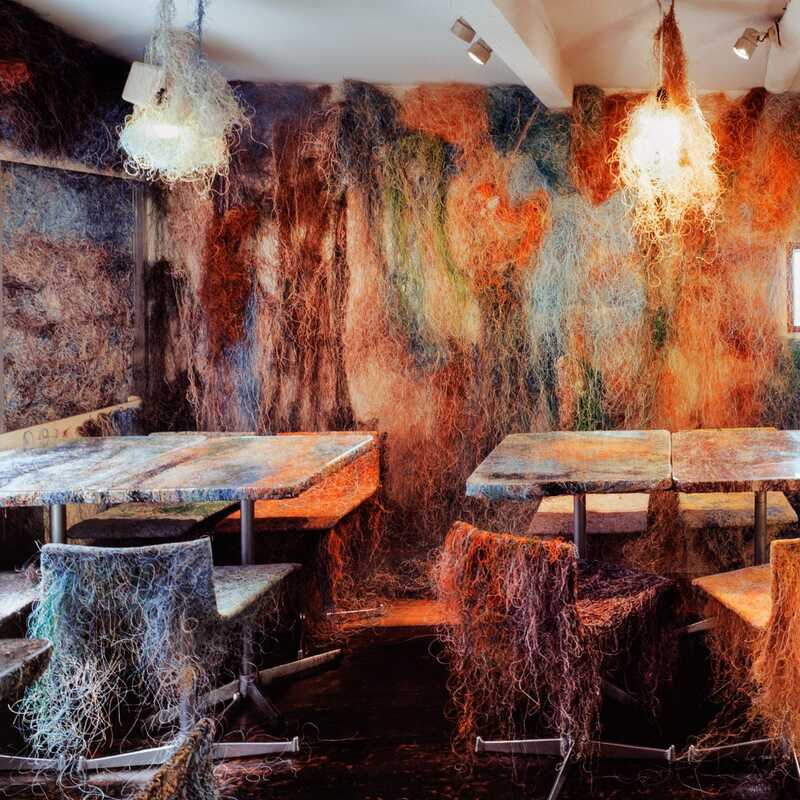 Picture: Restaurant & Bar Design Awards. It’s crucial to consider the clientele you want to attract. Start by sussing out people who live and work nearby and think about the type of bar décor that would appeal to them. Also take a look at similar hospitality venues near you and pick a few things that work well. It could be anything from the types of glasses they use to the way they fold their napkins. Clearly, these bars have a formula that works and replicating some of these décor aspects can pay dividends. 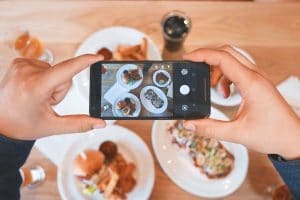 Being up with the latest trends and designing your bar around a unique theme is a great way to differentiate yourself from the competition. 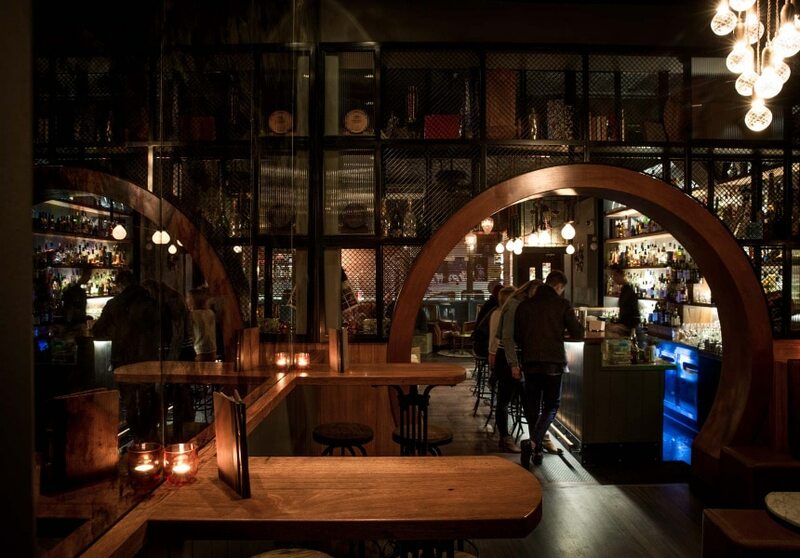 In simple terms, if there are plenty of ultra-modern bars nearby, try a vintage vibe. Of course, there’s also the option to go truly leftfield like some of the bars pictured above and to create a true concept bar. However, be careful not to make your theme too out there or you risk becoming too niche and turning customers off. Another thing to be wary of is that your style won’t look jaded after a few years. A fidget spinner bar might sound like a novel idea now but it probably won’t in five years when no one can remember them. There’s also cleanliness to think about. It’s all very well if a bar looks a million dollars but not if it’s impossible to maintain and starts to look rundown after a year. Having metal or wood features requires varnishing and/or polishing so plan accordingly. Check out our interviews with the iconic Bulletin Place & The Beaufort bars about their thoughts on bar design as well as our articles on how to open a bar and how to market a bar. Or you can find out how our POS systems can benefit your bar here.